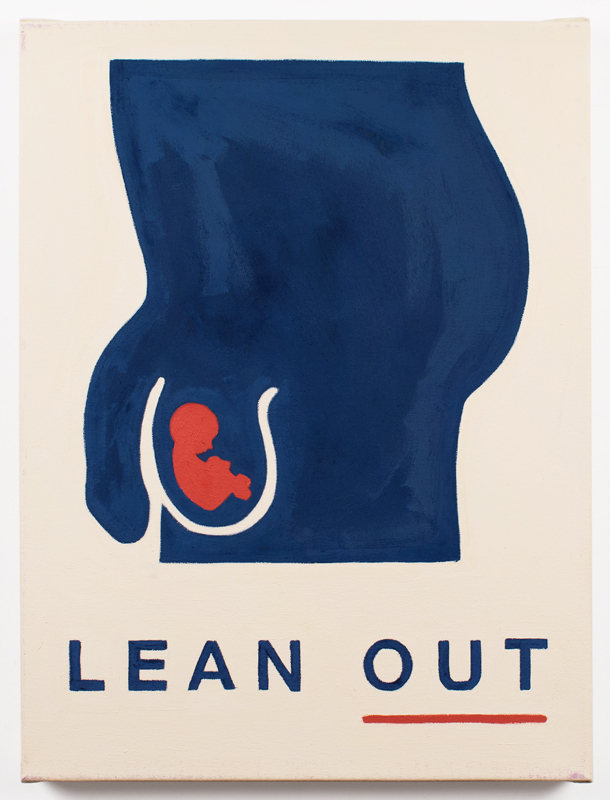 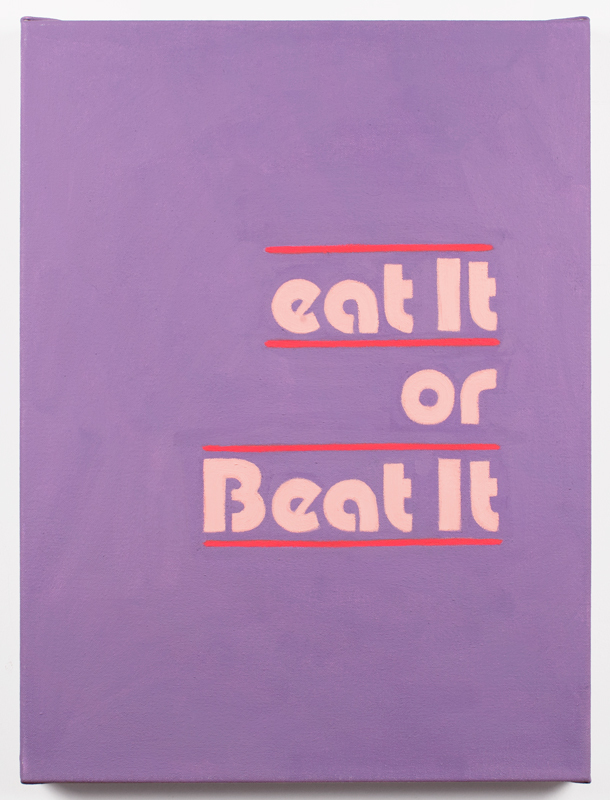 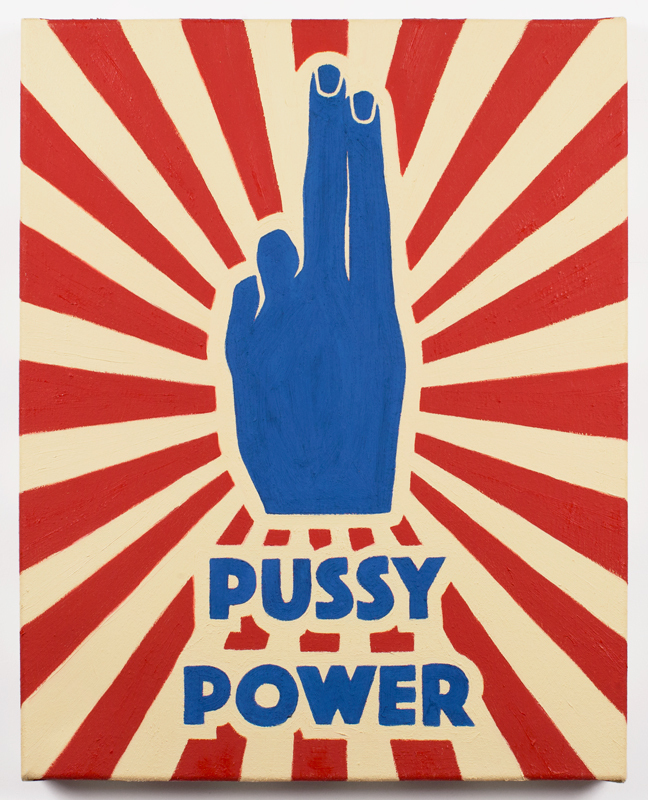 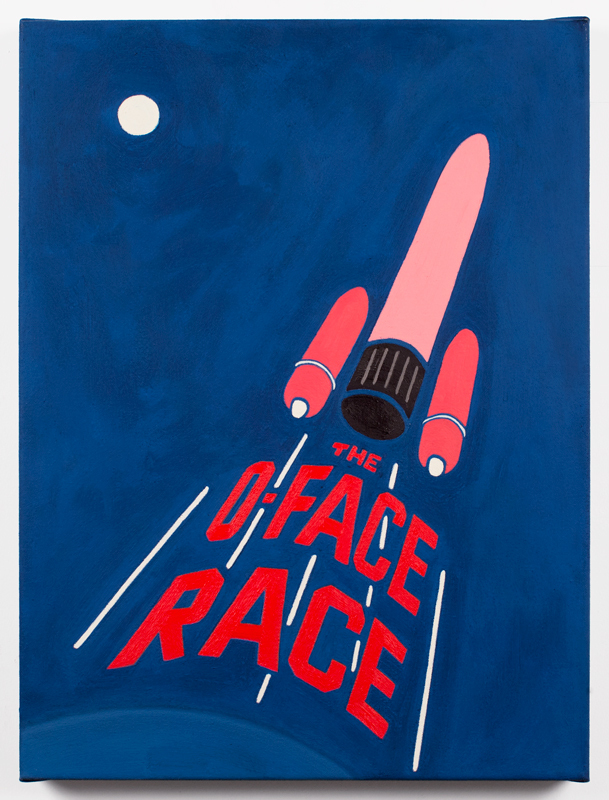 These poster-like paintings are inspired by past and present propaganda, pop culture and the recent wave of feminism, focusing on modern topics and drawing a connection between the personal and the political. 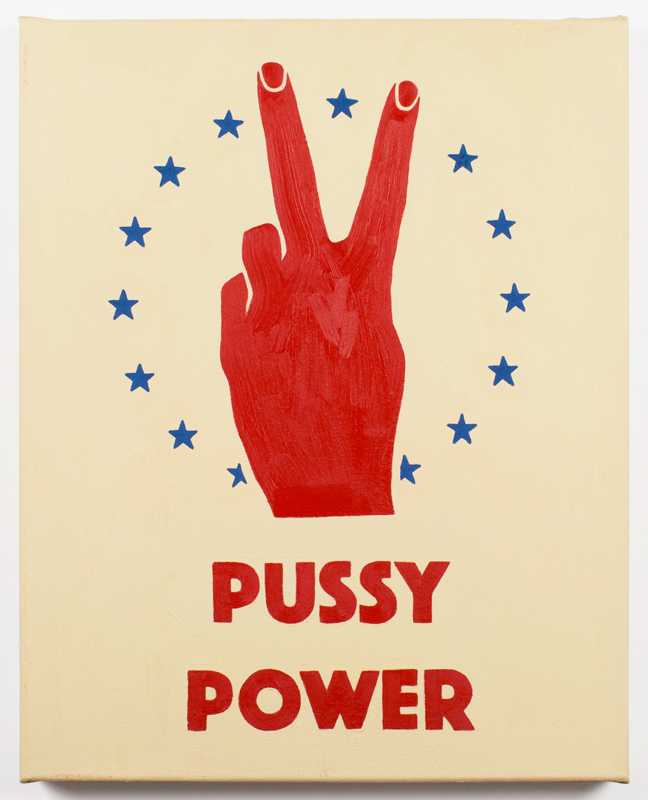 Empowering women to take ownership of our bodies, treatment of our bodies, and language around our bodies, and framing gender equality as patriotic. 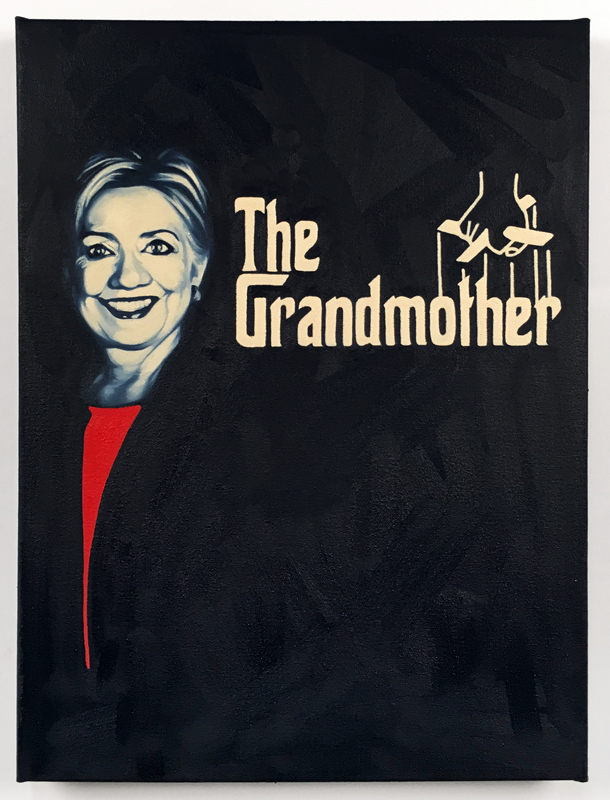 The paintings were used as designs for t-shirts that were sold to spread the message and mimic the distributions and spread of propaganda.